In a letter sent Thursday to the board of supervisors, Interim Inspector-General Rodrigo Castro-Silva said the department ended 45 ongoing investigations in January and February, compared with just 10 in the last three months of 2018. In 31 of the cases, officials did not give a detailed explanation for why they were ending the investigations. Castro-Silva said department policies don't justify ending those probes. The investigations involved a variety of allegations against sworn and civilian staff, ranging from sleeping on duty to mistreatment of jail inmates and concealment of inmate grievances. In 20 of the cases, the employee's alleged conduct appears to have violated department policy, said Castro-Silva. But rather than wait for the investigations to play out, "division chiefs ended the investigations by reclassifying the policy violations as 'training issues' or adjudging that the conduct 'did not warrant administrative investigations.'" The inspector general also noted that the department decreased disciplinary penalties in 21 cases during January and February. In five of those cases, decisions to fire deputies or custody assistants for misconduct, ranging from excessive force to driving under the influence, were overruled. Instead of being fired, the alleged perpetrators received suspensions. In a written response, the sheriff's department called the inspector general's report a "superficial snapshot." Under Villanueva, the department "is steadfast in ensuring a fair and balanced disciplinary process for its sworn and civilian employees," it said. The department said that officials cut off administrative investigations when "new information arises that mandates a different course of action be taken." With regard to the question of altering disciplinary decisions, the department's response was that officials act when, "based on the totality of the facts presented" during an employee's appeal, "modification of discipline is justified." 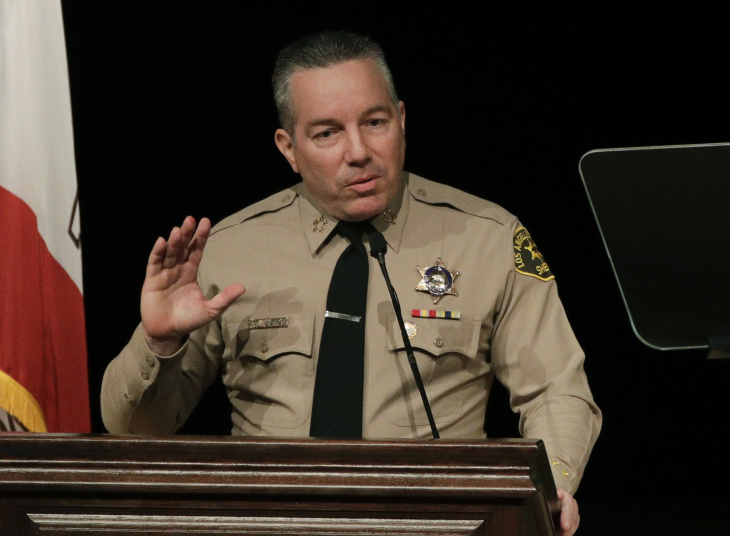 Villanueva has long criticized former Sheriff Jim McDonnell's discipline policies, arguing that his predecessor was far too harsh on deputies. Castro-Silva said when his office inquired about the large number of de-activated investigations, the sheriff's department said "a Department directive had been issued in mid-December 2018 instructing chiefs, directors, and captains to re-evaluate all open administrative investigations to determine whether any of them should be inactivated." The inspector general said he requested copies of the directive on Feb. 20, "but, to date, we have received no response." One of the administrative investigations that was cut short involved an ACLU complaint that a deputy exhibited "a pattern of retaliating against inmates and referring to them using a derogatory term," according to Castro-Silva's report. The deputy acknowledged using the derogatory term but denied retaliation. The department cut the investigation short, "deeming the matter a training issue," the inspector general said, adding that "no other reasons or analysis were documented in the inactivation memorandum." A case of modified discipline involved a deputy who was going to be fired for pointing a gun at a suspect and threatening to shoot him, "and then punching the suspect numerous times after throwing him to the ground," according to the report. While the deputy's appeal to the County Civil Service Commission was pending, the department entered into a settlement agreement with the deputy that confirmed his misconduct, but reduced his penalty to a 30-day suspension, according to Castro-Silva's report. The inspector general's findings troubled civil rights attorney Connie Rice, who has played a key role over the years in reform efforts at the LAPD. "When you have exonerations of serious matters like this, that involve use of force, drunk driving, brandishing weapons, and you're rehiring these people or you're not allowing an investigation to reach a disciplinary level and it's simply slaps on the wrist, I see indicia of a rogue policing culture," Rice said. Paul Glickman contributed reporting to this story.